Hit play on the playlist above and listen along for a string of strange connections. A few days ago, I crossed paths with the song "Terrence Loves You" from Lana del Rey's new album Honeymoon. It's a great, hypnotic, trance-like song that despite its slow tempo has a lot of energy and drives to the end. But what really caught me by surprise comes about 2/3s of the way through the piece, at 3:24, when del Rey begins singing "Ground control to Major Tom". Yeah, that Major Tom, from David Bowie's 1969 "Space Oddity". I'd heard before that Bowie's song was inspired in both theme and title by the famous Stanley Kubrick film 2001: A Space Odyssey. What I didn't know was that the first part of the music was also inspired by some of the music used in the film. Specifically, the very soft, unclear instrumental at the beginning of the song is inspired by the famous "Also Sprach Zarathustra". Richard Strauss' 1896 tone poem Also Sprach Zarathustra was inspired by philosopher Friedrich Nietzsche's novel of the same name. (Apparently, in his spare time Nietzsche was something of a composer as well!) Among other things, the novel features a parable on the death of God. Many of Nietzsche's musings on power and the gods were originally inspired by German composer Richard Wagner. (They later fell out and Nietzsche wrote some terrible words about Wagner.) Possibly the biggest inspiration for Nietzsche (and certainly the biggest work for Wagner) was the Ring cycle, a 15-hour epic opera cycle that makes a Lord of the Rings movie marathon look like a commercial break. Curiously, the whole cycle begins with a wash of music that starts, like the beginning of "Terrence Loves You", "Space Oddity", and Also Sprach Zarathustra, very softly and with no clear rhythm. Coincidence? I think not. 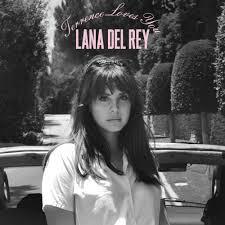 So go get Lana del Rey's new album, and think fondly of David Bowie and Richard Wagner when you listen. This post is the first of a new series, Crosscurrents, in which I draw connections around a theme or a topic across several time periods in music.